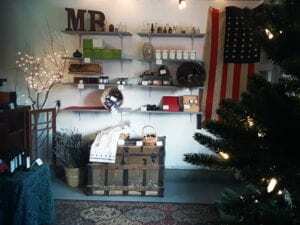 We will be open weekends and special shopping days this holiday season as a part of the Farm Trails event. In addition to our many locally grown and processed products, we will have a special $25 pre-packaged gift-to-go which includes a Monte-Bellaria lavender sachet, a Monte-Bellaria olive oil, beeswax and lavender moisturizing balm and two, Monte-Bellaria olive oil, beeswax and lavender lip balm tubes—all in a beautiful gift box ready to give! During your visit we will be conducting optional tours of the barn, processing equipment, bee hives and lavender fields. As weather permits. 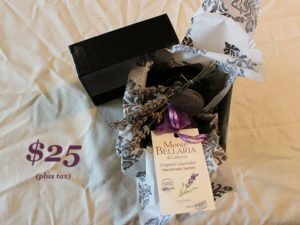 Monte-Bellaria di California, located in the Russian River Appellation, specializes in estate grown lavender, olive oil and bee-related produce. Sonoma County’s mild Mediterranean climate yields high quality, oil rich Lavender which are grown, harvested and distilled on site. We produce cut lavender, lavender buds, essential oil and hydrosols.